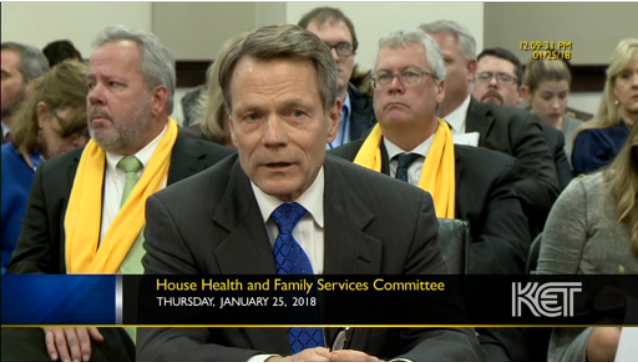 Dr. Couch provided excellent testimony on House Bill 225 before the House Health and Family Services Committee on Feb. 28. 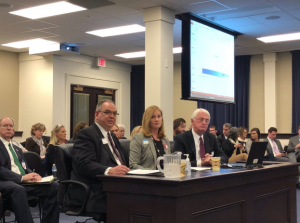 The bill would regulate advertising for legal services and protect patients from drug-injury advertisements on television, radio and social media. 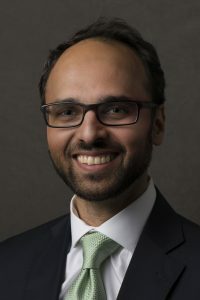 Jeff Goldberg, M.D. and Sen. Ralph Alvarado, M.D. Dr. Goldberg and Sen. Alvarado represented physicians during a House Banking and Insurance Committee hearing on Senate Bill 30 on Feb. 28. 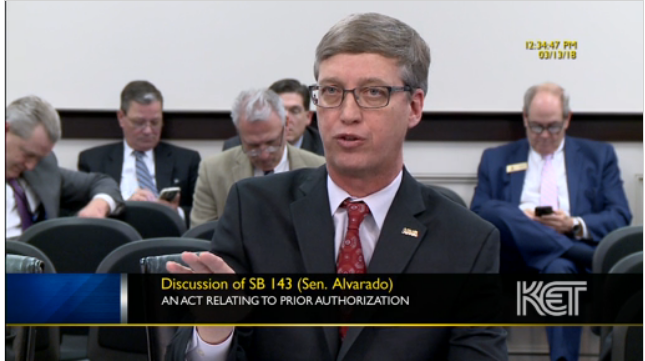 Current KMA President Bruce Scott, M.D., has traveled to Frankfort several times during this session to provide expert testimony on Senate Bill 54, which would revise the prior authorization process. 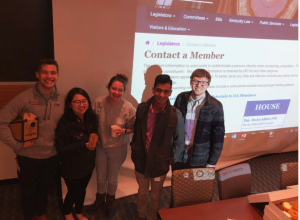 He also co-wrote an op-ed with Rep. Kim Moser on House Bill 121, which would increase access to medication-assisted treatment (MAT). Several KMA members traveled to Washington, DC in February to advocate for the practice of medicine in Kentucky. 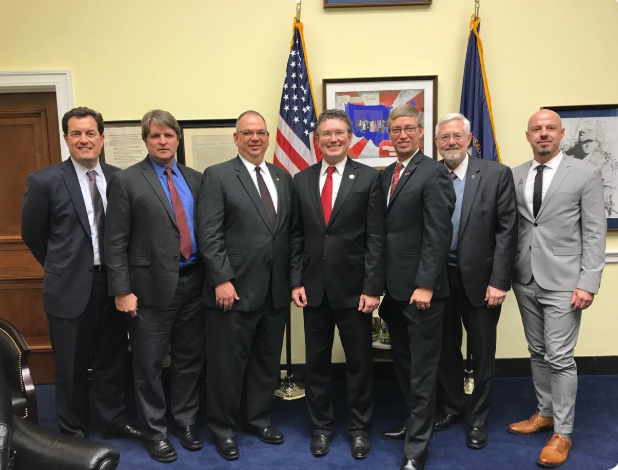 Those in attendance included KMA President Bruce Scott, M.D., Secretary-Treasurer Robert Couch, M.D., Neal Moser, M.D., Mamata Majmundar, M.D., and Donald Swikert, M.D. 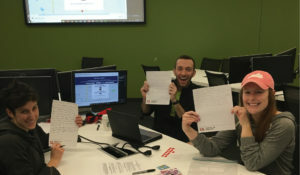 Medical students at the University of Louisville participated in a letter writing campaign to their elected officials in February, urging support for KMA policies and legislation. 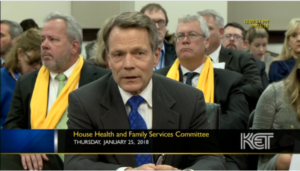 Community Connector Patrick Withrow, M.D., testified before the House Health and Family Services Committee on Feb. 7 in support of House Bill 11, which would prohibit the use of tobacco products statewide on school campuses and at school-sponsored events. Dr. Mazloomdoost penned an op-ed appearing in the Louisville Courier-Journal on Jan. 25 in support of the KMA position regarding medical cannabis. 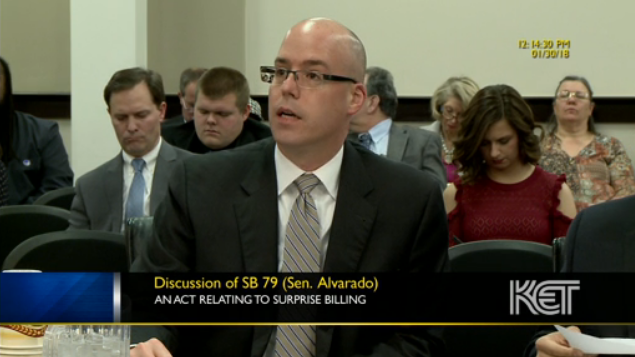 Sen. Alvarado has carried numerous bills in support of physicians and patients during his time in the legislature. In 2018, he sponsored many KMA priorities, including Senate Bills 2, 20, 51, 79, 93, 112, and 143. Bruce Scott, MD provided excellent testimony on March 13 in favor of Senate Bill 143, which would revise the prior authorization process. 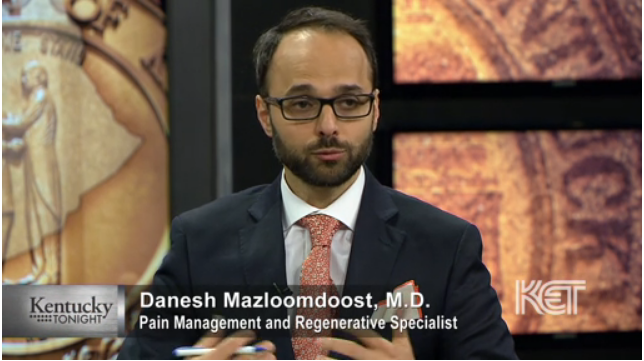 Danesh Mazloomdoost, MD appeared on KET's Kentucky Tonight alongside Rep. Kim Moser on Feb. 15 to discuss House Bill 166 and Senate Bill 118, which deal with medical marijuana. 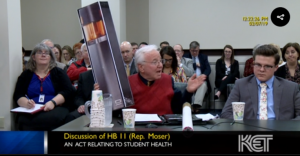 Dr. Mazloomdoost also testified before the House Judiciary Committee regarding this issue on March 6. 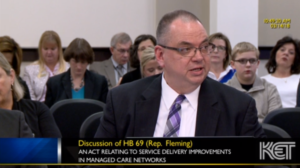 Robert Couch, MD provided valuable testimony to the Senate Health and Welfare Committee on March 14 regarding House Bill 69. The bill went on to pass favorably from both chambers and now heads to the Governor's desk for signature. James Borders, MD testified in favor of House Bill 4, addressing peer review protections, on Jan. 25. The bill went on to pass through both the House and Senate and was signed by the Governor on March 9. 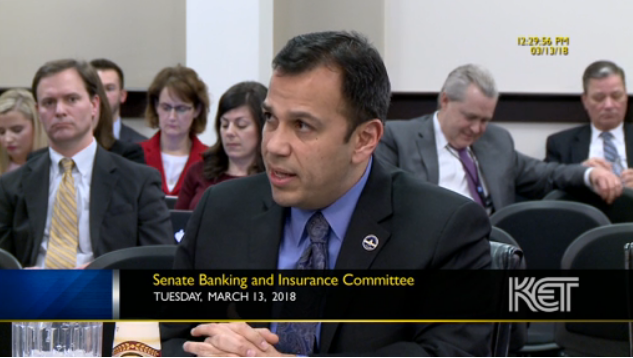 Steve Stack, MD testified in support of Senate Bill 79, which deals with balance or "surprise" billing before the Senate Banking and Insurance Committee on Jan. 30. More than 35 students from the University of Louisville School of Medicine participated in a "Coffee and LegisLetters" campaign on Feb. 14, during which they wrote letters to their senators and representatives in support of several KMA priorities.